Right or left handed design for precise cutting! 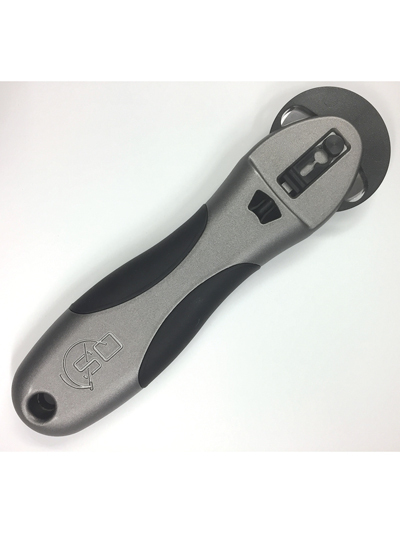 Designed by Alex Anderson, this 45 mm cutter has an innovative ambidextrous design that ensures precise cutting along a ruler. 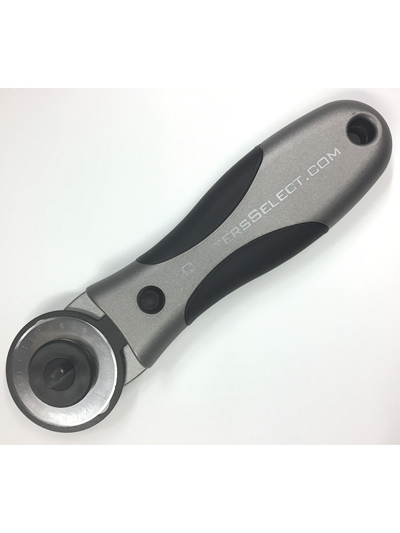 The cutter is designed for both left and right-handed sewers! Rotary cutter is heavier than normal, making it easier to cut fabric, reducing and eliminating strain on hands, wrists and back. 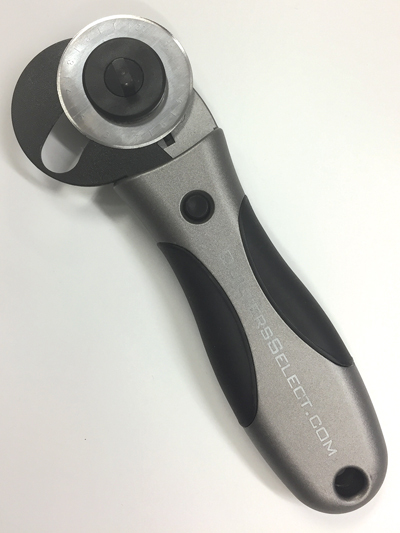 Product is for rotary cutter only, no replacement blades included. Nice cutter until the magnets fell out. Not worth the expense! I will stick to my olfa cutter. I bought this cutter during the Shop Hop. I cut fabric blocks and material for 2 days that I worked and let me tell you......This is the best cutter I believe I have ever owned. It is a little heavier because of the weight in the center of the blade where you change out for a new blade but it helps to put pressure on the material so you have a good clean cut with no skips. The neat part is either right or left handed person can use it by the flip of the little knob on the back. 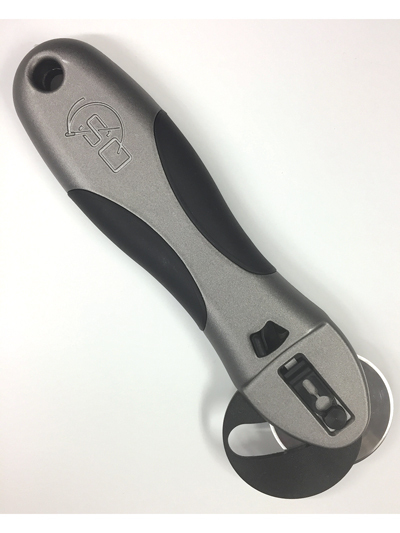 Truly a great cutter.